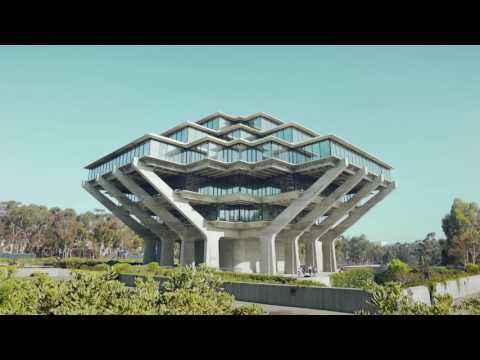 Vitro, a multidisciplinary agency, brought on Los Angeles-based studio Golden to execute an imaginative new brand film for UC San Diego. Golden’s Jake Banks directed the 60-second piece centered around Vitro’s “Break Things Better” campaign, highlighting UC San Diego’s approach to breaking convention. Vitro chose the Golden team to lead production, editorial and VFX for the video, which brings to life the genius and creativity of UC San Diego’s forward-thinkers in a demonstration of mind-warping artistry. Shot on the ALEXA, Jake Banks captures the unique feel of the UC San Diego campus and culture in a clean, crisp visual style. Golden added beautifully detailed and surreal animations into the live action footage, including Dalí-esque elements like oversized marine life, a robot and an astronaut. Seamlessly blending the real world with the imagined, the piece captures the surprising moments that occur when people deviate from the ordinary to do breakthrough work. The 60-second piece is currently on the UC San Diego campaign landing page at ucsd.edu/breakthingsbetter.